Rural Revolution: Crash course in "adulting"
Did you know the process of becoming an adult is now a verb? Yes, "adulting" is the process whereby young people leave the cozy sphere of their parent's protection and learn to make it on their own. Sometimes this is a slow and gradual process, and other times it's abrupt. Today is Older Daughter's 20th birthday. Our beloved chick has flown the coop twice this year: the first time when she attended nanny school in Ohio for three months; and the second time when she got her first job with a family in New Jersey. Ohio wasn't so bad because she didn't have too many "adult" responsibilities beyond that asked of ordinary students. However New Jersey is proving more of a challenge. Older Daughter is calling it a crash course in Adulting. There are a number of factors in her favor with this new job. The family she is working for is lovely. She likes the parents and the four children very much. She also shares nannying duties with another live-out nanny, whom Older Daughter describes as calm, controlled, unruffle-able, and easy to work with. But the massive suburbs that make up her corner of New Jersey is a little tough for our country mouse to get used to. And being without a vehicle (except for the admittedly generous use of her employer's SUV, complete with four car seats for the kids) means her ability to get out and explore the region -- or even attend church or sign up with a health club -- was limited. Older Daughter had already gone through the usual hassle of relocating to a new state: changing mailing address, getting a New Jersey driver's license, getting a bank account, signing up for health insurance, etc. She had also saved her money to purchase a used car. This in itself turned out to be quite an issue. Older Daughter has no mechanical aptitude and would be easy prey for anyone interested in selling her a lemon. After some thought, we contacted the pastor of the church she's attending, who located an older member of the congregation with mechanical aptitude to help Older Daughter find an affordable vehicle. 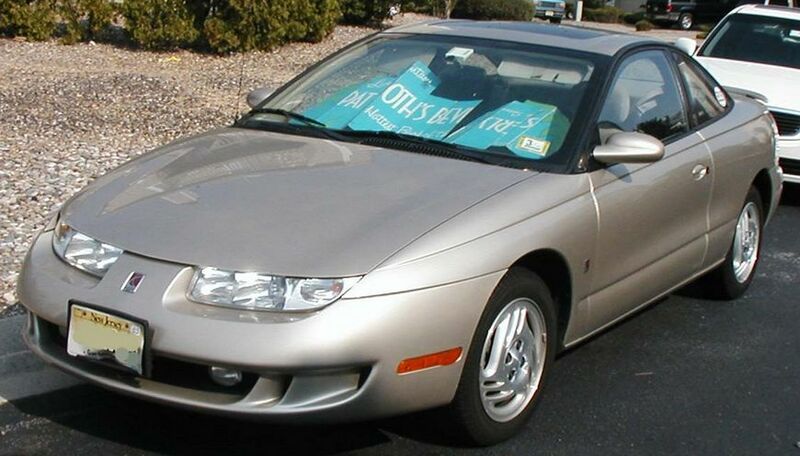 Together they found a mechanically-sound 1999 Saturn within her price range. So far so good. But then she needed to transfer her savings from her Idaho bank account to her New Jersey account so she could buy the car. It wasn't until after the transfer was made that the teller told her the funds wouldn't be available for two weeks. In a panic she called us, and we temporarily transferred some of our funds to her so she could pay for the car. Then, before picking up the car or being able to register it, she needed to get insurance. Car insurance, it turns out, is linked to health insurance. And due to some glitch in the system -- and despite having a local mailing address and New Jersey driver's license -- she had a dickens of a time convincing both the insurance company and the Department of Motor Vehicles she actually existed. It was that ol' credit history nonsense again. Also, unlike the calm small-town DMV office she's used to here in Idaho, her new location sports the huge clichéd monstrosity of a DMV with lines moving a glacial speed and clerks that apparently hate their job. To top it off, she was dealing with the hair-pulling frustration of faceless incompetent government bureaucracy and impersonal big-company bureaucrats. Older Daughter only has about a two-hour window mid-day to get tasks like this done (before the kids get out of school) and it was frustrating beyond belief to convince the DMV and the insurance company that yes, she existed and yes, she was previously insured and yes, she's really living and working in New Jersey now. After endless communications with our own local insurance agent (who, let it be known, has the patience of a saint), Older Daughter was finally able to convince the local insurance company she exists; and in turn she was able to convince the DMV. So today -- her 20th birthday -- she is the proud owner of a nice little car all her own. It's even insured and registered. Happy birthday dear Older Daughter! And welcome to adulthood! Her experience parallels mine. We moved to Texas back in 1974 and I had no credit history. At least I was in a smaller town so the bank would give me a no name credit card that was only usable in a few local stores. I think the limit was $200 or something. We used it as much as possible at those stores that we could and paid off the balance in full each mo. After about 6 MO we were given a card that could be used many places but with a $500 limit. We kept on using the card as much as possible and paying it off every mo. After about another year or so we were actually given a card with a good limit. I now have excellent credit and everyone and his brother wants to give me a card with multiple thousand limits. I had a Saturn years ago and found it to be a very good vehicle. Good luck to older daughter. That's exactly what I'm doing now-- I sat down with a person at my bank today and got a secured credit card. I'll make small purchases and pay it off in full every month, and after six-ish months I should be established enough to get an actual credit card. Of course, I don't actually want a credit card to begin with, but I need to start building my credit score and history. Woohoo. my daughter had a similar problem with credit history. she solved the problem with cell phone. she took out a contraact in her own name. seems the cell phone companys could care less about your existing credit, all they want is another customer. after 3 months my kid went out and bought a new car based on her credit history with the cell phone company. a word of caution...missing or even being late with payment will ruin your credit for years, so make sure you haave the4 finances befor you make the jump. Welcome to the land of passive abuse at the hands of petty tyrants..
Now, at age 62, I remain unconvinced that being an adult is "all that". Nothing surprises me. I am sorry for the hassles. I feel Older Daughters pain!! We moved 6 months ago from FL to TN. Getting a DL/carry permit was ardious. It was compunded by the fact that our address is new and not registerer (E911). We were like dogs chasing our tails providing documentation. Trying to get basic information is like pulling hens teeth as well. So many things are on-line there are no hard copy versions. We don't have internet yet, so multiple trips to the library had to be planned to get info & print whatever we needed. I've also come to realize that the phone book is basicallt useless. Many of the local businesses have Facebook pages and advertise that way & by word of mouth. That's great except for outsiders (make no mistake we are def on the outside looking in) that don't know where to go for specific items. Moving is stressful, but moving across the country is a herculean feat! we have lived in many states and the decay of the phone book and the use of only internet is terrible. when we lived in rhode island the news readers would give bare bones about a story and say to go tho their internet page for the rest! the phone books every where make it impossible to find even the simplest things and they used to be such a treasure trove of information. whenever we moved my husband would read the phone book first to get a feel for the place. no longer possible to get as much info. Thank you for the update on Older Daughter. I went the same route, a secured card, many years ago to 'establish credit'. Bought a lot of small things with it and paid it off every month until I received a 'real' credit card and then used IT regularly for small things. Many years later I now have excellent credit with a high limit on my single card and I have never gotten over about 15% of the limit. Although I tend to pay cash for anything I can a credit card is useful to have in minor ways and for emergencies. For example, when buying gas instead of going into the store, asking for some amount on pump 3, paying cash and then watching that you do not go over just use the card and fill it up every time (and I never let my tank get below a half tank!). So, when it is raining cats and dogs you save the trip into the store and back. Emergency example: If you are traveling out of state and something expensive on your car breaks it's good to have a credit card with a decent limit because most places will not accept a check (if you have a checking account), especially from out of state. Credit cards used wisely can be a huge benefit but, unfortunately, many people dig themselves a hole with them that causes a lot of headaches (and bankruptcies!). Take good care, Older Daughter, and Merry Christmas! We used to live in what is called not so fondly known as "the metro mess" The DMV was a supreme pain. When we moved out into the country my first experience was so good that after I had gotten into the car I got out went back inside and thanked them for a very nice experience. Happy Birthday! ...and a Merry Christmas to you all. we lived in new jersey. horrible drivers. the banks, et cetera treat you like a criminal for even existing. when we went to the closest bank to open an account they wanted our marriage license!! none of their business. among lots of other papers. you'd have thought we were foreigners applying for visas or work permits. went to a further bank where we had had an account for 30 years at one of their branches in pennsylvania. then we moved to rhode island and the dmv wouldn't accept their own driver;s license as i. d. when we went to renew them! no w we live in n. e. ohio and are once more treated like human beings. people here are stunningly polite after the northeast experiences, too. so refreshing. but it will give your girl the experience to be able to cope in alien and dangerous environments. Years ago, Capital One credit card gave each of my sons their first cards---all they needed was a job and a pay stub showing their weekly income. I believe their initial limit was set at one week's pay and raised later as they gained experience. I also assisted the boys in establishing a bit of credit by adding them as authorized users on my credit union VISA. Of course, I never let them USE IT, but they got the benefit of my card showing up on their credit report! When the kids were growing up I told them I would help them by co-signing a one loan for them to get a car, knowing that none of them had a credit history. I warned them that they would make or break their credit on this one loan. I felt it my responsibility as a parent to help them get started. After that they were all on their own. Although my oldest screwed up her credit due to a divorce many years ago, she managed to get it cleaned up and is in good standing today. Happy Birthday and a very Merry Christmas to you Older Daughter!! God bless you!! Welcome to jersey! Tell her to be glad she doesn't have to pay the property taxes lol. A friend of mine shared what he did to help his sons establish credit. When his oldest was 16, he installed a second land line into his house but used his oldest son's name on the account. Oldest son was required to pay the bill on said phone. When he graduated high school, he had two years credit history. About that time, younger son turned 16 and the phone was transferred into his name. My friend, their Dad, helped both boys learn about paying their bills in a timely fashion. You can get a secured credit card and they don't even do a credit check. Send them a couple of hundred dollars and usually you can get one going. Credit cards dot com I think is where I've seen that. But they are fairly common and a good way to start building your credit. Good luck.